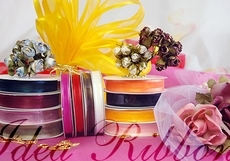 Ribbon,Satin Ribbon, Gift Ribbon, Sheer ribbon, Organza ribbon, Craft Ribbon (Chenille Tinsel),Satin edge organza ribbon, Wired ribbon. 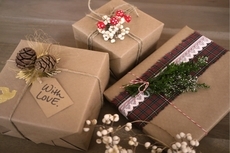 Meets all gift wrapping needs. 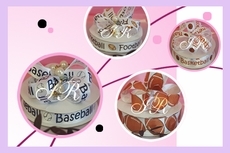 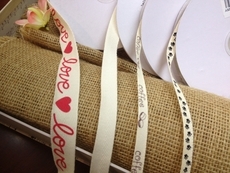 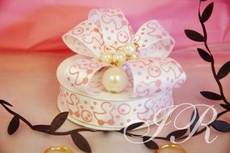 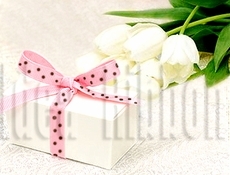 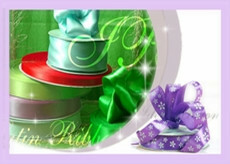 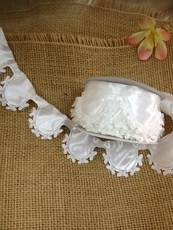 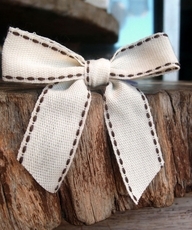 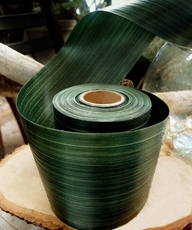 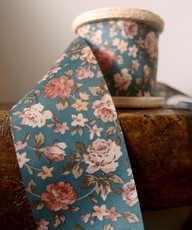 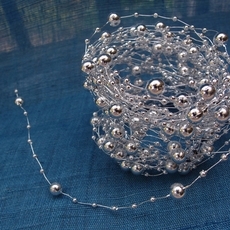 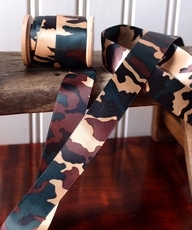 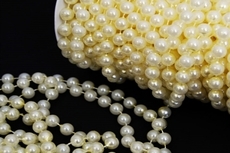 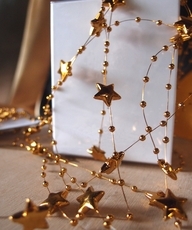 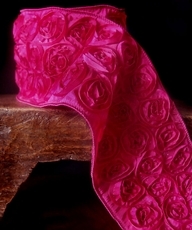 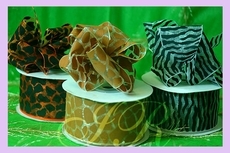 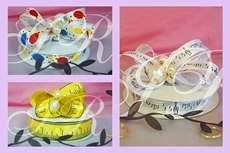 Shop all ribbons and ribbon wholesale selections at idearibbon.com. 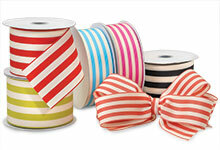 Finding the perfect for you is simple, with big savings on the hottest and trendiest ribbons at all times. 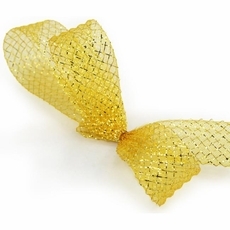 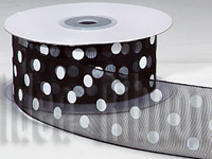 Idea Ribbon carries these types of ribbons: Organza sheer, checker, curling, designed, metallic, polka dot and striped, printed, pull Bow, satin and velvet, seasonal, sheer with satin edge, silky, ombre, two tone Sinamay, grosgrain, moire, raffia, nylon, designer, elastic stretch loops, craft, crafter, wired tinsel chenille, and Ric-Rac Ric-Rac craft. 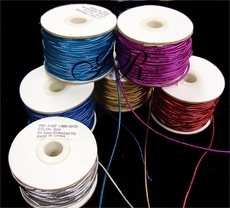 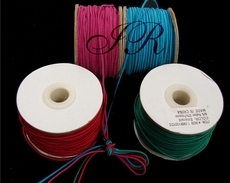 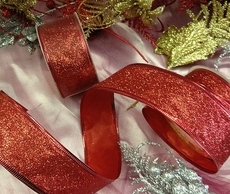 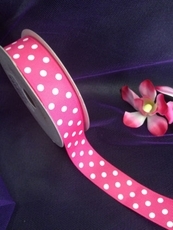 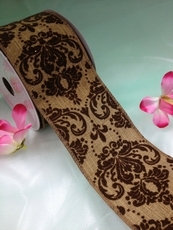 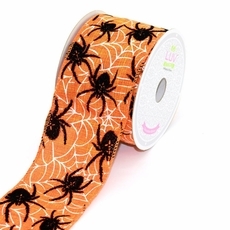 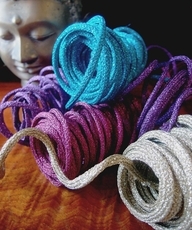 Sheer ribbon 1.5 " 25 yard only 1.95 per roll , click here now for detail. 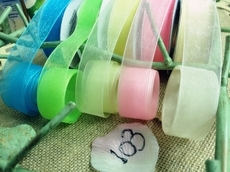 Make sure to scroll down to see Idea Ribbon's hundreds of selections of ribbons on Sale and products that will further accessorize your event.